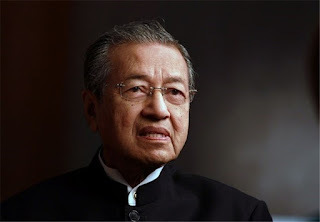 Malaysian Prime Minister Mahathir Mohamad revealed the reasons for the cancellation of the China-funded railroad construction project. SCMP reported Tuesday (01/29/2019), the East Coast Railroad (ECRL) project cost up to 20 billion US dollars, or Rp. 281.7 trillion. This project was handled by the China Construction and Communication Company (CCCC) and 85 percent of the financing was borne by the China Export-Import Bank. "It's not because we don't respect the contract. It's because we can't afford to pay it," Mahathir said before the media crew. The PM nicknamed Dr. M explained, his country asked for understanding of the parties concerned to understand their financial condition. "This project will make us poor because we swallowed 100 billion ringgit (Rp. 343 trillion). We did it because we were tightening our belts," he explained. SCMP reported, the official announcement from Kuala Lumpur regarding the cancellation of the project was predicted to emerge in the next two days. On Saturday last week (1/26/2019), Economy Minister Azmin Ali said the government had given an official decision. However, after that the government seemed to walk backwards and implied that Azmin was too early in expressing it. Mahathir's comments came after Deputy Foreign Minister Kong Xuanyou and Chinese Foreign Ministry spokesman Geng Shuang said the project negotiations were still ongoing. With many high-ranking officials commenting, the fate of the 688-km track has become Malaysia's main agenda in recent days. Relationship commentator China and Malaysia Oh Ei Sun said, he was not sure the cancellation of the project would affect the bilateral relations of the two countries. Oh explained, the "Jiran" country is one of Beijing's main trading partners. In addition, ups and downs in relations are commonplace. "However, I do not believe that this problem will have a serious effect that could disturb them," said a senior researcher at the Singapore Institute of International Relations. When CCCC gave it to Mahathir's predecessor, Najib Razak, in 2016, many observers thought the project was "Belt and Road Initiative" President Xi Jinping. However, work on the route has become uncertain after Najib lost to Mahathir in the general election that took place May 9, 2018. The 93-year-old PM saw ECRL as a project that was too expensive and had not been needed by Malaysia at this time. In early January, Mahathir had said that the project could work but on a smaller scale. Government sources revealed they could not continue the CCCC contract brought by Najib because the cost and benefit ratios were out of line. The anonymous official continued, by canceling the project, the Mahathir government was ready with a penalty to be paid. "The compensation we have to pay is not worth the debt we will bear in the next 30 years," Mahathir said when asked about the penalty. While Najib, who offered the project without going through an auction, said that Mahathir made a mistake by canceling it. He then challenged Mahathir to explain a number of contractual provisions which he considered to provide benefits.